Adam Renheim (Ski-Doo) claimed his third straight FIM Snowcross World Championship title in 2018, taking a win and a second place in the two-race event held at the Levi Ski Center in Kittilä, Finland in May. Renheim came out swinging in qualifying around the fast and technical track - which featured an uphill start straight followed by a downhill rhythm section - the Swede topping both sessions ahead of compatriot Nisse Kjellström (Arctic Cat) and Norway’s Elias Ishoel (Ski Doo), but with the trio separated by less than three tenths of a second. Ishoel took the holeshot in the first race but was challenged in the early stages by fellow Norwegian Martin Moland (Arctic Cat), who snatched the lead as Renheim also came through from third to second. On lap five of 22 Renheim made his move for the lead in the technical downhill rhythm section of the track and then proceeded to put a second per lap into the field as he claimed a dominant win. After Moland crashed out trying to give chase to Renheim, Kjellström came through to take second ahead of Ishoel. Renheim took the holeshot in Race 2 but then became embroiled in an epic battle for the lead with Aki Pihlaja. Knowing second place to the Finn would be enough for the title, Renheim relented and cruised home to his third title success in as many years. A day of celebration was complete for the Renheim family when Adam’s sister Marica claimed the Women’s World Cup. Adam Renheim (Ski-Doo) claimed his third straight FIM Snowcross World Championship title in typically dominant fashion with a double victory in front of a jubilant home crowd in his native Sweden. The two-day format in the small municipality of Älvsbyn near the northeast coast of the country, included warm-up and practice on Friday, with qualifying and two championship races on Saturday, when the world’s fastest snowcross racers would go ‘bar to bar’ for their chance to win the 2017 world crown. Renheim showed his determination to defend his title with the fastest time after the opening day's action, followed by his compatriots Marcus Ogemar (Lynx) and Nisse Kjellström (Arctic Cat). However, the Swedish pair were unable to keep pace with Renheim once Final 1 got underway, with the defending champ snatching the holeshot and leading the entire race – a performance he repeated in Final 2. Ogemar and Kjellström were also overpowered by Finland’s Aki Pihlaja (Lynx) and Norwegian rookie Elias Ishoel (Ski-Doo) for the podium places. Pihlaja repeated his runner-up championship position from last year after going 2-2 following some close racing with Ishoel, who was in second position during the early stages of Final 1 before being overcome by his more experienced rival in an intense battle filled with narrow misses and close calls. With identical podiums in both races the championship was decided: Renheim was again the champion, from Pihlaja and Ishoel. 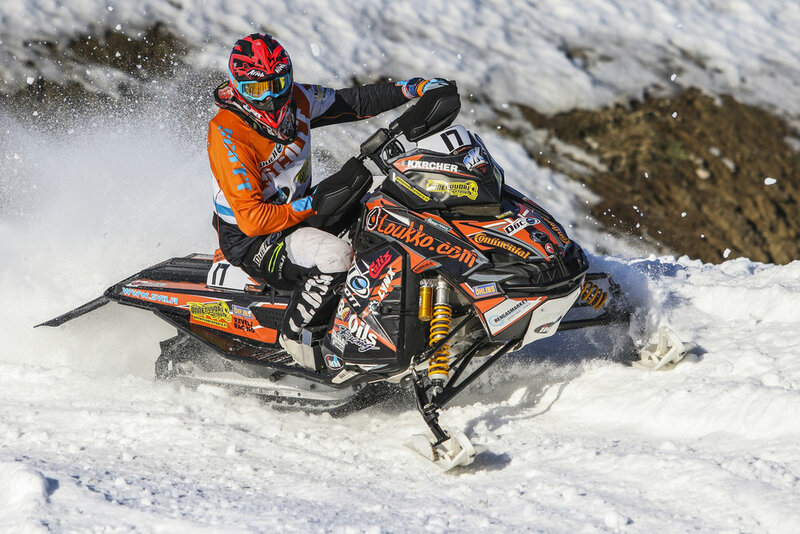 Adam Renheim (Ski-Doo) successfully defended the FIM Snowcross World Championship title he won last season with back-to-back victories in the two rounds of the 2016 series. After dominating the opening round in Finland, Renheim headed to Alta, Norway, as the clear favourite but bursts of rain across the weekend made for a gnarly circuit. Renheim was untouchable all day as he set the fastest lap in qualifying and carried that blistering pace into the final, where he pulled the holeshot and dominated with yet another perfect performance. Behind the Swedish star, Finland’s Aki Pihlaja (Lynx) did enough to be crowned championship runner-up with fourth place, whilst sixth for Renheim's fellow Swede Nisse Kjellstrom (Polaris) combined with his third place at the opening round to secure the bronze medal overall.